We study gene regulation through the analysis and modelling of genome-wide datasets. 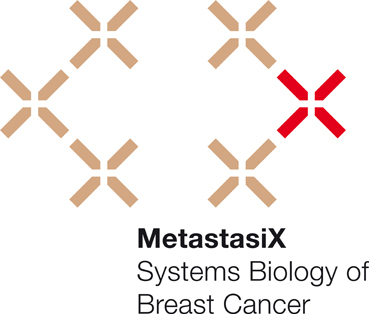 We collaborate closely with experimental researchers on various biological topics, including cancer progression, chromatin biology and cellular differentiation, using data from various aspects of gene expression, such as DNA methylation and RNA transcription in single cells, measured by high-throughput sequencing. Our aim is to better understand how the different layers of epigenetic, transcriptional and post-transcriptional regulation interact and contribute to the control of gene expression. In collaboration with the Biozentrum at the University of Basel, SIB, the Department of Biosystems Science and Engineering of the ETH Zürich, and other institutes from academia and industry, we are building up a comprehensive environment for computational biology analysis and we organize related events. Modern research methods in biology produce vast amounts of data which are difficult to interpret and understand intuitively. Many experimental research groups do not have the required hardware environment or people with the quantitative background needed to work with such data. We help FMI scientists to exploit these new data efficiently, depending on their specific needs, through collaboration, a bioinformatics helpdesk and relevant training. We focus on providing solutions based on free and open-source software, allowing the scientists to continue their own bioinformatics research even after leaving the FMI. Activity-dependent neuroprotective protein recruits HP1 and CHD4 to control lineage-specifying genes. The CSR-1 endogenous RNAi pathway ensures accurate transcriptional reprogramming during the oocyte-to-embryo transition in Caenorhabditis elegans. Epigenesys - European Community-funded Network of Excellence in the fields of epigenetics and systems biology.